When choosing a camera for live streaming church services, two factors you should consider the most are a) low-light performance, and b) 'clean' HDMI output. Many low cost cameras (and some expensive ones) ace it on one of those areas, but miss it for the other. The camera models featured below nail it for both. Plus, they're affordable and reliable. Perfect for smaller venues, this tiny camera packs a big punch. Image enhancements and the low-light capability of the CX405 outclass and outperform anything from Canon, Panasonic and JVC in this price range. HDMI output conforms to TV standards and can easily be used for streaming. Also, the optional Composite AV Adapter allows use of the inexpensive K-World USB video adapter (see below) for Standard Definition video. 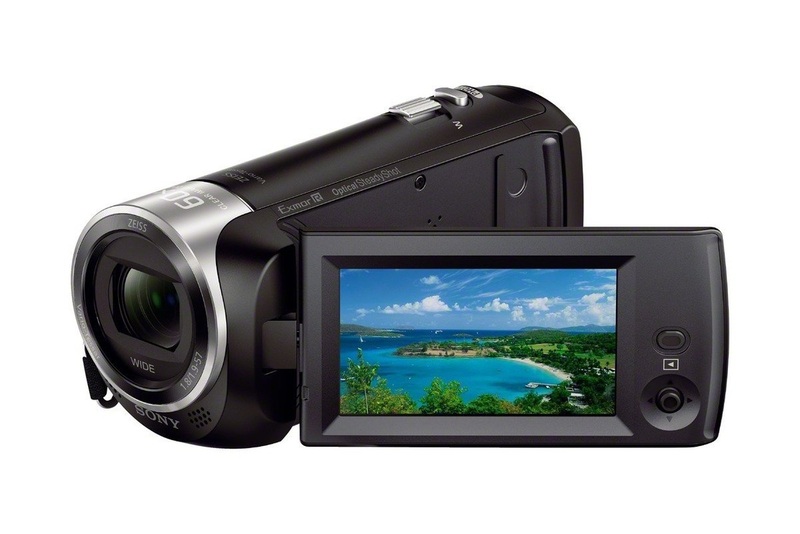 The Lumix G7 is one of the few DSLRs that can function as a livestreaming camcorder. Unlike Canon and Nikon DSLRs, this one can remain in a 'TV Mode' for hours on end, sending out live, uninterrupted video over HDMI to your streaming PC, without fear of overheating or turning itself off. You can also use extra fast lenses and filters. The G7 is the less expensive version of the Lumix GH4 ($1600), a favorite among indie filmmakers. Yes, it's quite a big jump in price and complexity, but that's what happens when you go for the best. The NX100 represents a leap in quality and proven reliability. The one-inch sensor's low-light sensitivity allows the NX100 to shoot in dim sanctuaries and ballrooms, and the built-in XLR microphone jacks makes connecting to your audio mixer a breeze. This is a sound, versatile investment for church streaming, and remote events. The K-World Video-to-USB adapter is one of the most popular interfaces in use by our broadcasters, and for good reason. The unit's solid construction and up-to-date software make for worry-free streaming. Other brands that look and function similar to this abound. Pay them no mind. We tested over 20 different brands and models, and the K-World was hands-down the best of them all. ​NOTE: This is for Standard Definition "composite" video only. High Definition video from HDMI or "component" cables will not work with it. Magewell's super popular XI100D-USB turns the most sophisticated HD camera into a simple to integrate webcam. Plug the HDMI cable from the camera into one end, and the USB cable into the other, and you're all set. No extra software drivers are required, and it doesn't need extra power cords...it gets juice from the USB port on your computer. The unit converts massive amounts of high definition video data into a usable signal for live streaming, on-the-fly. Yes, it does cost $300, but the headaches and surprises you'll be spared more than make up for it. Our Support Line receives more calls and complaints about this one device than all the others in use -- COMBINED. We really wish this device would work, as it is affordable, and would streamline installations for our broadcasters. Black Magic Design (BMD) is world renown for high quality cinema cameras and broadcast equipment...except for this stinker. The Intensity Shuttle is incompatible with 98% of all PCs. Determining if your computer will work with it is nearly impossible, as the chipset it requires was phased out six years ago. If you were sold this unit and it doesn't work with your computer, get rid of it on eBay or Craigslist. The internal version, "Intensity PCIe Capture Card", is a flawless performer and highly recommended by RevMedia TV techs. For those with smaller budgets, this adapter allows you to connect the Sony Handycam line (such as the CX405, mentioned above) and use it with the K-World Video-to-USB adapter. This allows the camera to shoot in standard definition only. The Panasonic G7 requires this special Micro-HDMI to Full-HDMI cable. As of this writing, the G7 does not accommodate standard definition output, only high definition. The Magewell HDMI-to-USB adapter is required to livestream. HDMI cables are inexpensive and come in varying sizes. The maximum length these cables can be run is 12 feet. Anything longer will require an expensive repeater/booster. The ones sold as 'Amazon Basics' are actually rebranded high-grade studio cables -- an incredible deal! NOTE: Please avoid using HDMI cables supplied by your cable company, as they're often recycled and not reliable for live video.